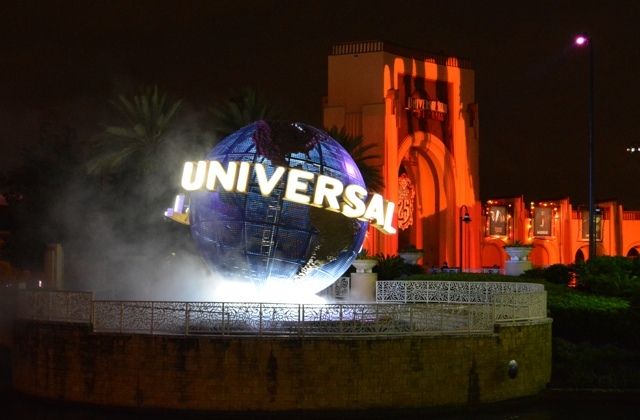 This year Universal Orlando Resorts in Florida are celebrating their 25th Anniversary of Halloween Horror Nights. Doesn’t that sound horrific and exciting all at the same time? To celebrate the 25 years myself and a bunch of other media were invited down to experience this anniversary and all of the scary bits that make the Halloween Horror Nights so great. 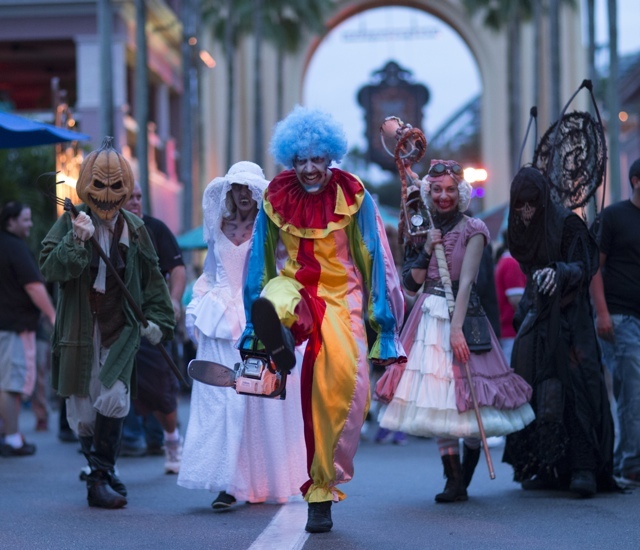 Each year during select nights in September and October leading up to Halloween, Universal Studios Orlando transforms from happy-family-fun-time to scary-screamy-clowns-chasing-you-with-chain-saws-time. Different parts of the park turn into what are called “scare zones” where characters walk the streets giving you a fright (aka a possessed snow white chasing you with rotten apples). 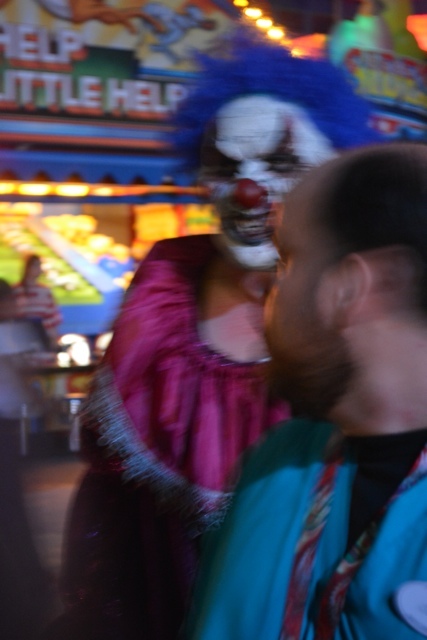 This year there were several scares zones all differently themed – Scarytales – Screampunk: Where classic fairytale characters are a bit twisted and a bit steam punky, Psychoscareapy – Unleashed: Where criminally insane escaped patients are looking to kill and more. So basically getting scared is unavoidable – just a warning. That isn’t all of the scariness though. 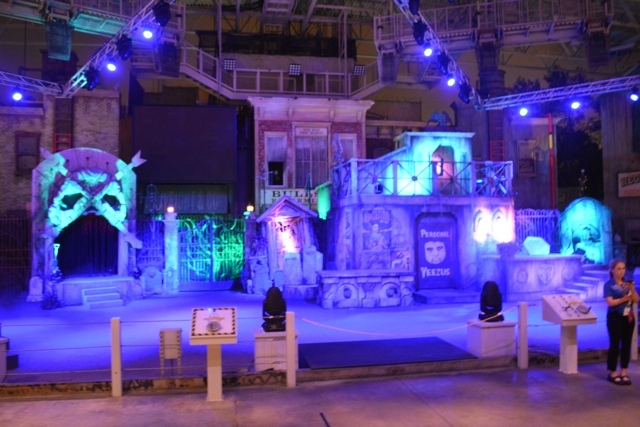 On site in the studios on the lot as well as in tents erected just for the event and on the sound stages there are also the main attractions – 9 different haunted houses all with a different theme. Some of themes are original concepts and others are based off of film and TV shows like Freddy VS Jason and AMC’s the Walking Dead. Out of the 9 haunted houses I knew there might be a couple that I wouldn’t be too keen on visiting. 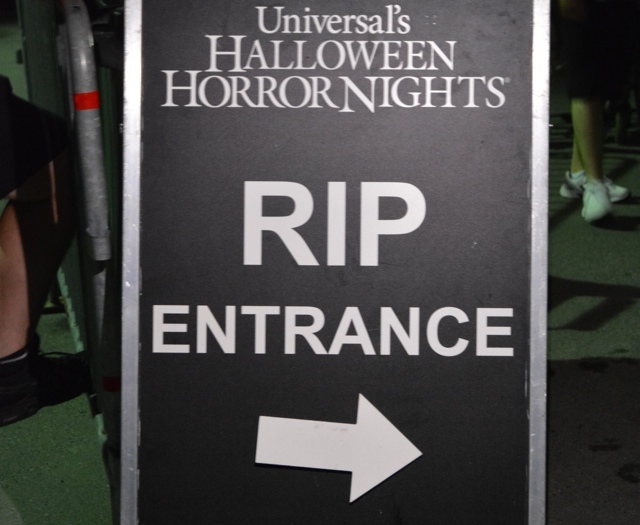 We had the opportunity to take the RIP Tour (the Halloween Horror Nights version of VIP) where a guide would direct us to each house and get us to the front of the line. This might be a pricey way to do things but soooo worth it. We were able to go to all 9 Haunted Houses in one night. If you didn’t have the RIP pass depending on how busy it was you would probably have to visit on 2 or 3 different days to see them all because the lines and wait times can be very long. Thankfully the guides also know what each house is like and could help me decide if I was too chicken or not. In the end I skipped “Insidious” – because even the poster for it freaked me out and it’s apparently known as the darkest and most claustrophobic of the houses. I also skipped going into the “25th Anniversary” House which is the longest and I slightly regret not going through. 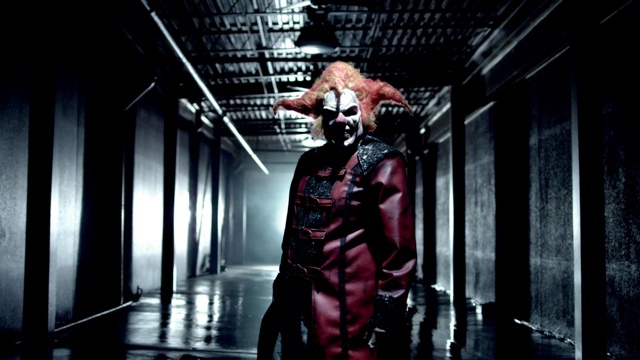 But I avoided it mainly because the HHN mascot Jack the clown is heavily featured in it and NOPE. Lastly I skipped the Purge based on events from both films of the same name. The idea of this one literally seemed too real and life like for me. The films are about real people purging real people. No thanks! There were however 6 others that I was brave enough to tackle. First was “The Walking Dead”. I knew this was a must see even though Zombies of course freak me out. I made sure I was sandwiched in between friends in the line and we went for it. I haven’t watched the show in forever but apparently a lot of what we saw was from season 5 beginning at the Terminus through to the end. 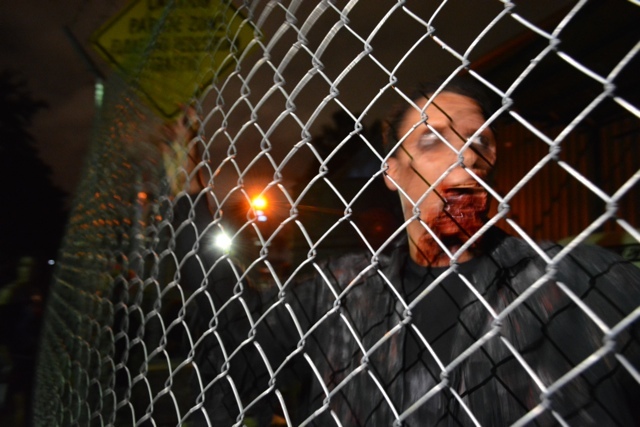 There were zombies everywhere and they definitely wanted to eat my brains. Luckily I survived. Next was “Run: Blood, Sweat and Fears” – based off an 80’s style game show however you are literally running and competing for your life. 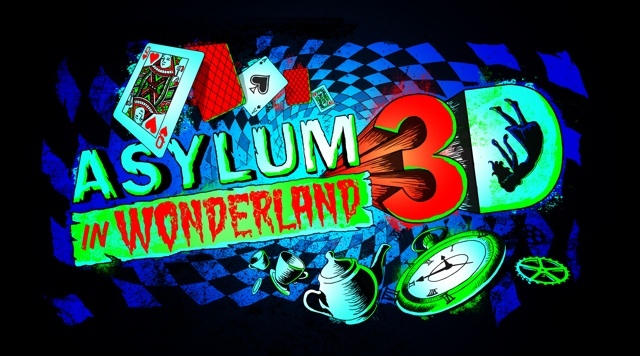 Following that was one of my favourites “Asylum in Wonderland 3D” based off of the Alice in Wonderland world this haunted house was totally different than all of the others. There was a lot more light, there were black lights, hardly any blood and gore (if at all can’t remember) and it was in old school 3D so we got to wear those red and blue glasses, that I love. Not only was this one kind of trippy but there were also parts of it that made you feel like your were losing your mind where the walls are moving and crazy stuff is going on. That was definitely one of my top favourites. “Body Collectors – Recollections” was our next stop and I didn’t want to do this one at all. Reimagined from a previous Halloween Horror Nights this one was about people or things that harvest body parts and was very gory. My sister who was with me elected to go into this one and I couldn’t not go if she was going, so I had to be brave. Did. Not. Like. Imagine that guy popping out at you in the dark! The second last Haunted House was “An American Werewolf in London”. 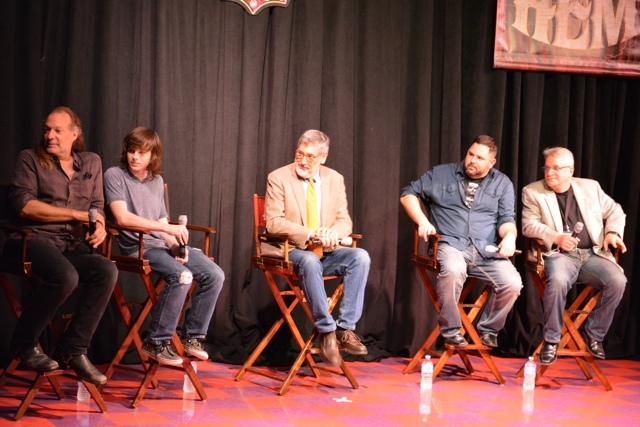 The director John Landis had previously talked this one up A LOT. He kept saying how well done and life like the werewolves were. I guess I can’t have much of an opinion on how real looking they were as I have never seen a real werewolf… but if they did look like real ones and I were to see a real one that looked the way these ones did… I might of laughed at it rather than be scared of it. For some reason these guys didn’t seem that real to me. They were mostly immobile, perhaps if there was a bit more movement and life-likeness to them it might of been better. I did of course still get scared in this one and shot at by the cops a few times I think. I survived this one as well though. Lastly we visited the Freddy VS Jason haunted house. It was almost cruel to leave this one to the last as not only is it now the one that I remember the most vividly but also it might be where I got my biggest scare of the night. I was never a fan of the Jason or Freddy Krueger movies so I wasn’t too sure what to expect. All of the Jason’s were gynormous and some of the Freddy’s were really messed up. There was a tiny child sized Freddy that I didn’t see out of the corner of my eye as it inched closer until it was right on top of me. I must have jumped 10 feet in the air and let out the biggest scream of my life. As we exited the house I almost started crying. And to answer your question, yes, yes I did have a bad dream about Freddy that night. The whole Halloween Horror Nights experience was really cool and really well done. If you can take it I would highly recommend visiting and taking in 2 or 3 nights of the Halloween activities while also getting to enjoy the park in its normal state by day. If you don’t have much time, although the RIP Tours can be pricey, I definitely recommend taking one because you don’t need to worry about getting lost or missing anything with a guide showing you your whole way around. Watch out for the clowns! My biggest tip aside from enjoying it over a few nights would be to wear good shoes not only so you can run if needed but also because you will be doing a lot of walking. Drink “beverages” and use the bathroom when you can. Lay out the route you want to take before going in, have fun, and lastly have a plan with friends to meet up if you get lost. HHN also featured a throw back and had a stage show called Bill and Ted’s Excellent Halloween Adventure. Essentially a song and dance performance where Bill & Ted try to stop Kanye West from taking over the world with their time machine. There were so many current pop culture references from the Bad Blood between Taylor Swift and Niki Manaj to Pitch Perfect, TuPac, Kill Bill, National Lampoons, Dr. Who, the Avengers, Back to the Future and more. It was really entertaining and another one of my favourite parts of the night. 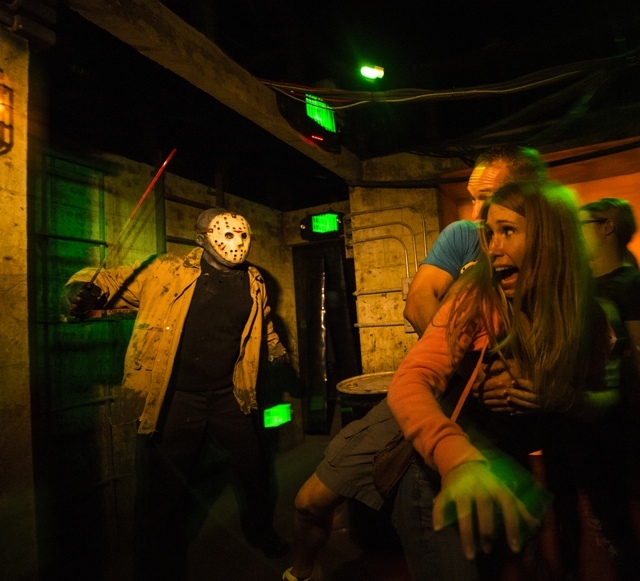 If you are a fan of screaming, blood, guts, gore, chainsaws, being chased, scary movies and of course haunted houses then the Universal Orland Resorts Halloween Horror Nights event is definitely for you. 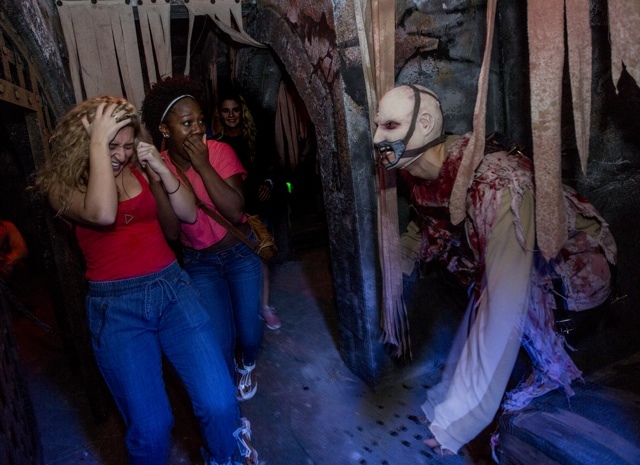 HHN happens on select nights between September 18th to November 1st, 2015. 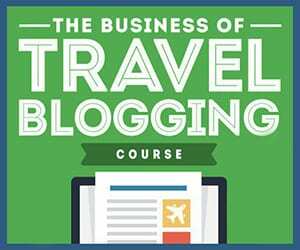 If you can’t make it this year, I highly recommend planning for 2016 already. Special thanks to Universal Orlando Resorts for hosting me on this visit. As always all opinions and views expressed are my own.